Katie (AZ Time Out, DOB 06/08/2003) ran over the Rainbow Bridge December 21st, after a very short battle with cancer and related heart problems. 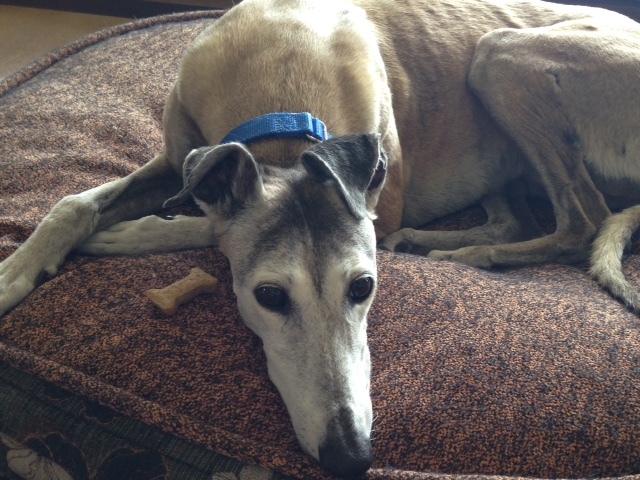 Katie was her forever family's first Greyhound, and will always be the apple of their eye. Deeply loved and forever missed by Tammy and Jeff Philipp.